From the moment plush turtles greet you in your family suite to when you meet the magnificent creatures at the Loggerhead Marinelife Center down the road, a vacation at the Marriott Singer Island is all about slowing down to a turtle’s pace while connecting with the authentic richness of the Palm Beaches: its seashore. 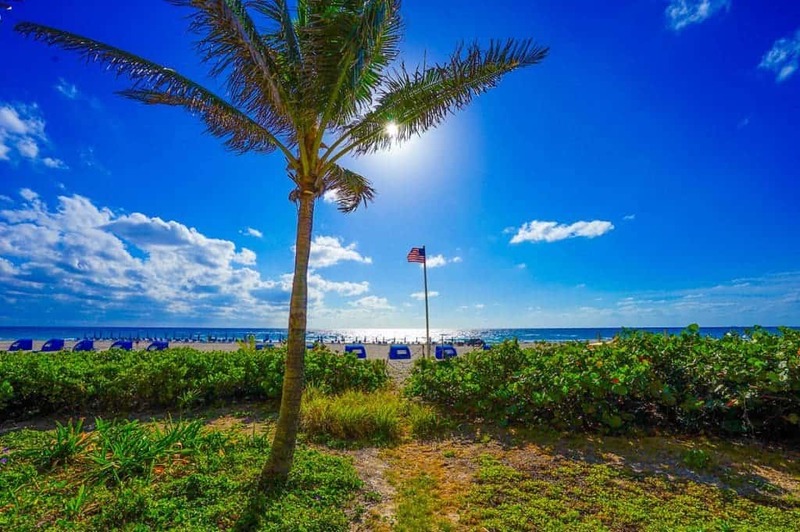 The Palm Beach Marriott has one of the largest and nicest beaches in the area. This is a far more mellow side to the Palm Beaches, away from the Worth Avenue image of the area. This is a quieter, less developed, more casual area for those seeking a true beach vacation. 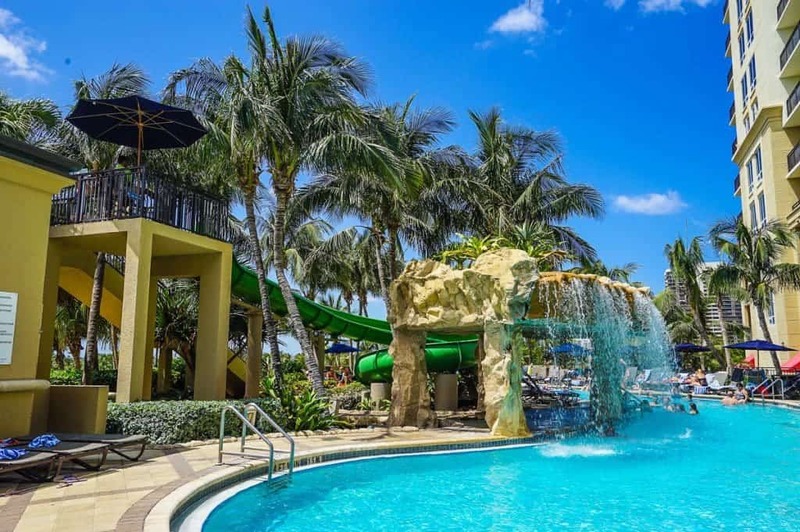 The Palm Beach Marriott Singer Island Beach Resort & Spa (check your dates for rates) is an all-suites beach resort ideal for families. 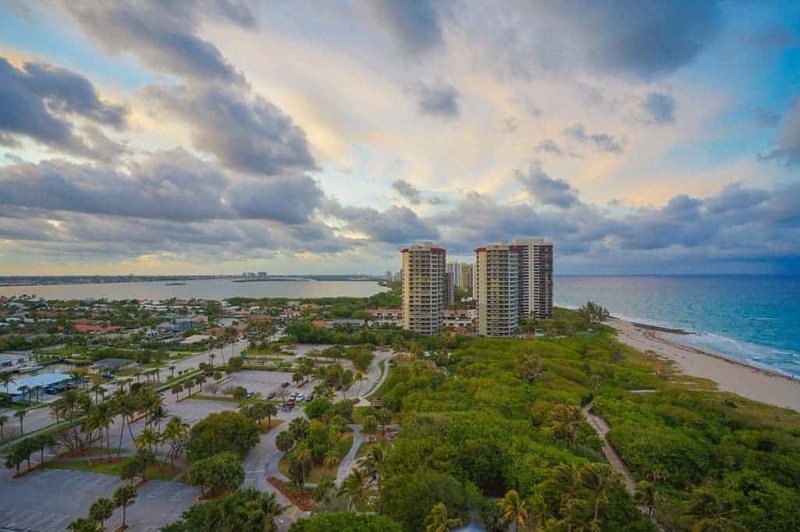 Singer Island is in Northern Palm Beach while still being close to all of the action in West Palm Beach. With only a few high rises, including another Marriott Vacation Club property, this island is dominated by expansive John D. MacArthur State Park. 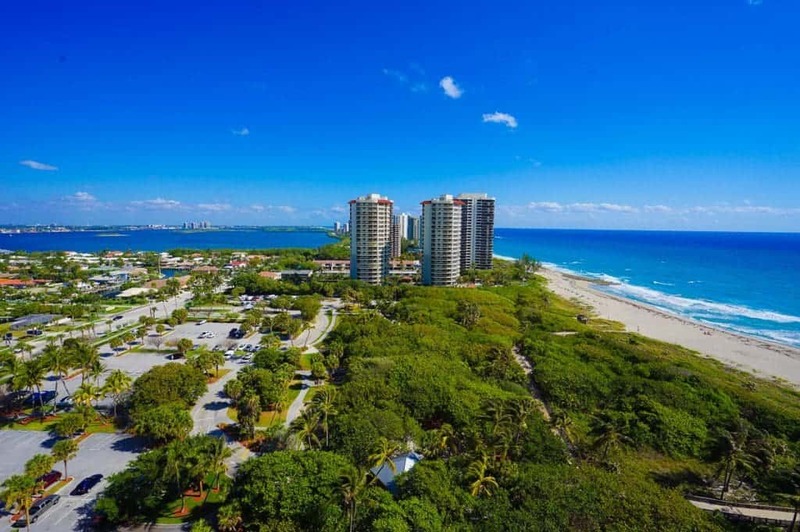 Singer Island boasts one of the best beaches in the Palm Beach area. 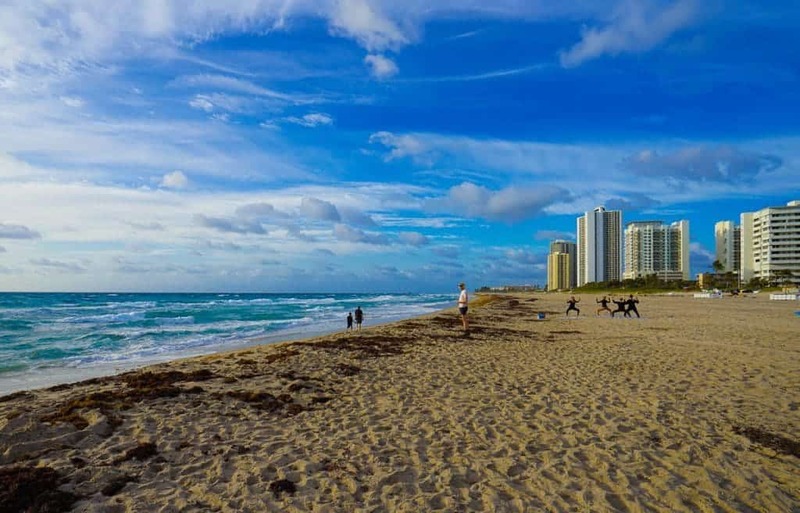 Compared to Palm Beach Island, Singer Island beaches are far more expansive in size, like those on Miami Beach but without all of the people. Plenty of beach to walk at the Marriott Singer Island. Singer Island isn’t very developed. Scuba diving and snorkeling opportunities await in nearby reefs. 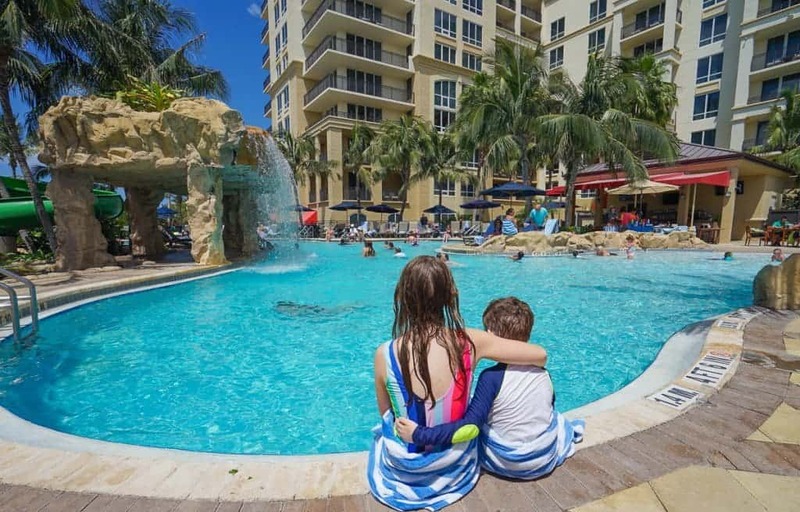 Although the beach is private at the Marriott resort (and guests are identified with wrist bands), the public beach access next to the Marriott is serene and uncrowded and offers shaded playgrounds steps from the hotel. Perhaps in summer months it could become more crowded, with smart locals who like the best area beaches. 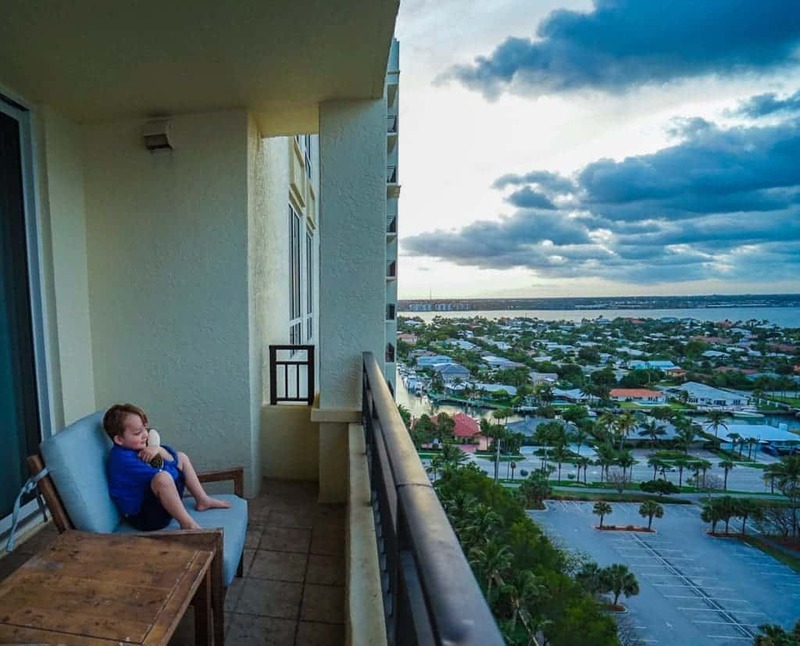 The greatest asset of the Marriott Singer Island for families is unquestionably their expansive guest suites. They are stylishly decorated and come with complete kitchens, washers and dryers, and very large bathrooms. The hotel raises money for the Loggerhead Marinelife Center down the road by offering these plush turtles for a donation. Two bedroom suites offer a parent master suite as well as a double bed room in addition to the sleeper sofa in the living room. 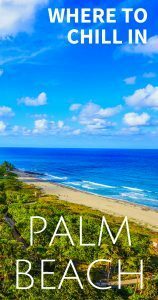 We were incredibly comfortable, and I would recommend these family suites for an extended vacation to explore the Palm Beaches or visit nearby family. 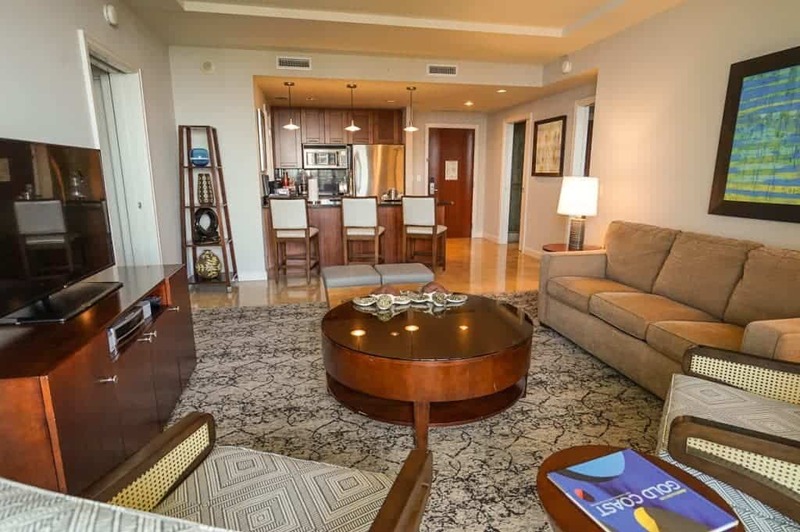 Two bedroom suites at the Palm Beach Marriott offer full kitchens, a washer and dryer, and balcony. 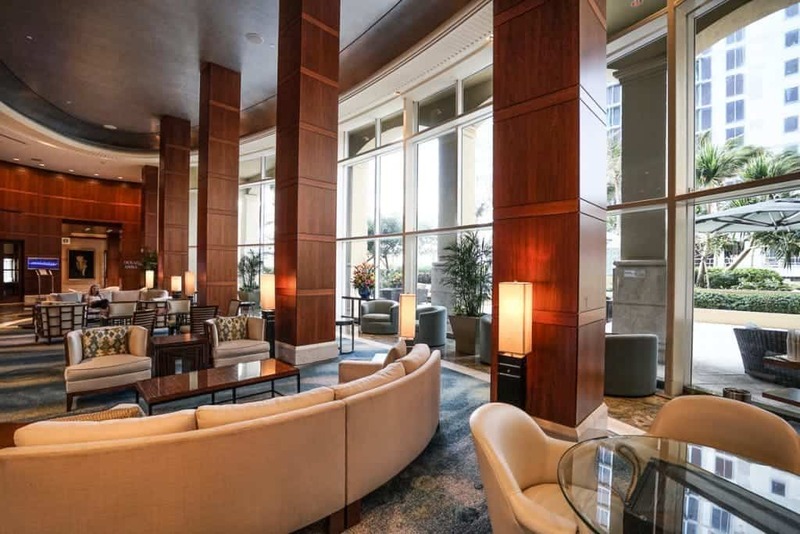 These rooms make up in convenience and comfort what the Marriott lacks when competing with the five-star resorts in Palm Beach like The Breakers or the Eau resorts. 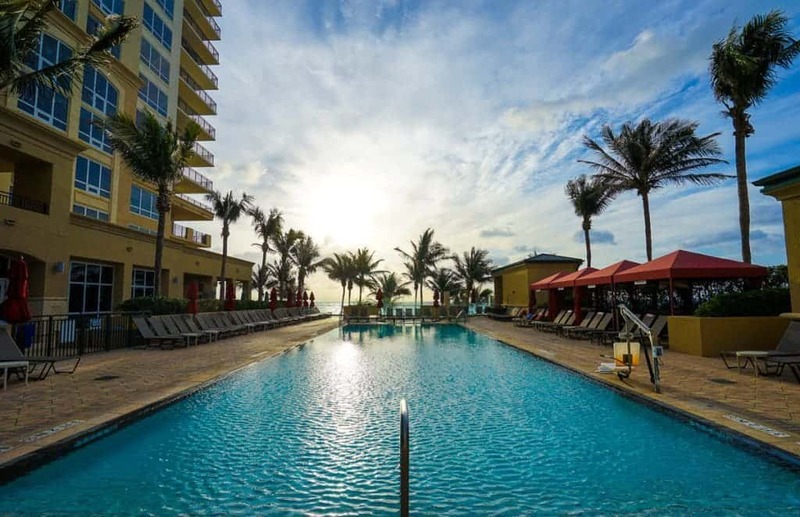 The rates for the Marriott Singer Island, however, match those that the five-star resorts charge, so don’t expect a bargain in price, just in suite size. 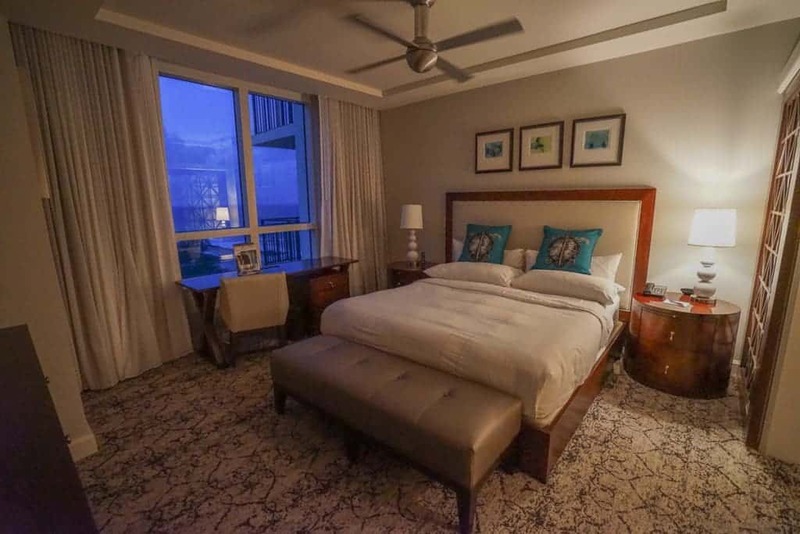 The master suite at the Marriott Singer Island. There are two pools at this beachfront resort. The lagoon pool offers a water slide and a zero-entry area for young children. 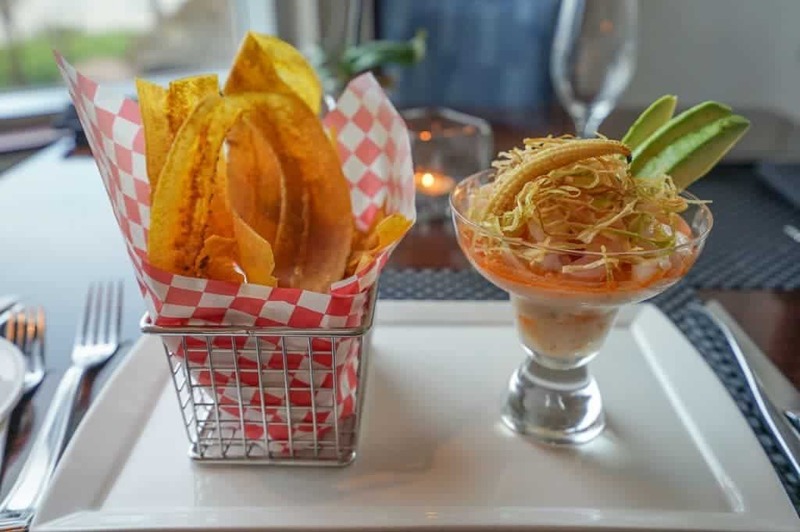 Its poolside restaurant serves standard fare in baskets, and members of the recreation staff offer poolside family activities and crafts, including daily hair braiding. 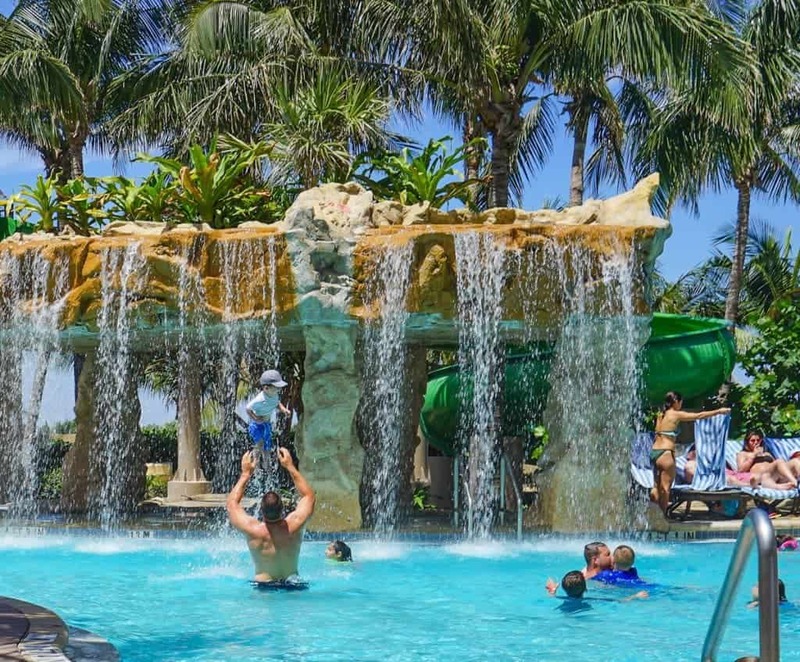 The lagoon family pool offers activities and dive-in movies for families. There’s a large waterfall that makes for fun for children to run and jump through and my daughter voted the waterslide a thumbs up, though you have to be at least 48 inches to use it. There’s a pool restaurant as well as poolside service, and although the food was good the crowds keep the staff very busy, so things take time. Good pools promote sibling bliss. This doesn’t happen often at home. 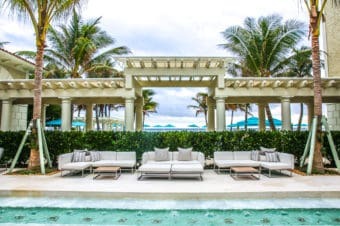 The second pool that’s beachfront offers cabanas and a mellower vibe, though families are present at both. The beach area, called Ocean Reef Park, is private. 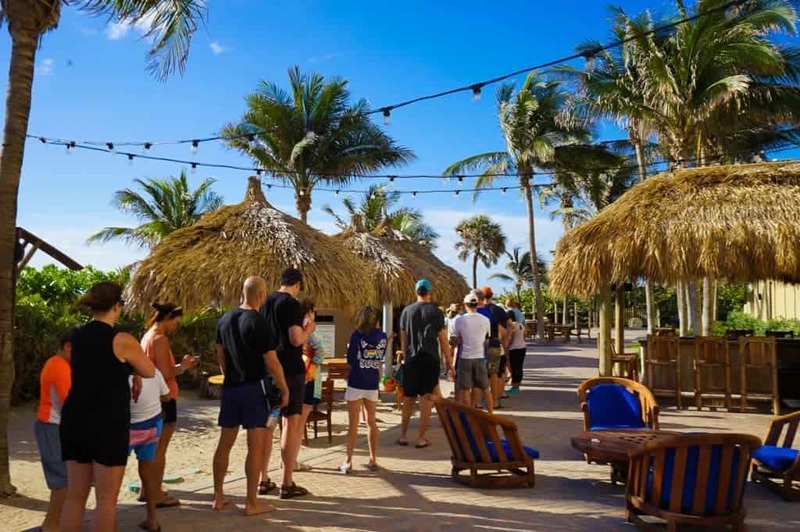 Guests are required to wear wristbands to prevent the public from encroaching upon the Marriott beach and pool facilities. 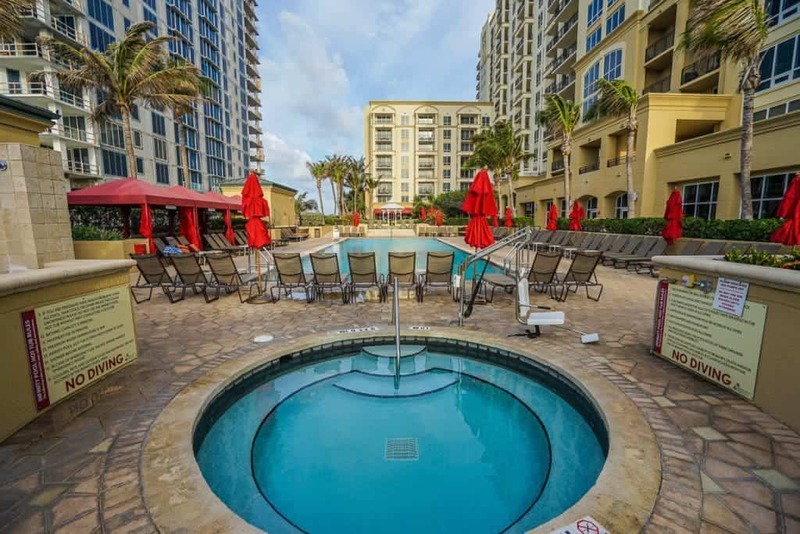 The beachfront pool at the Singer Island Marriott offers cabana rentals and a hot tub. Beachgoers queue prior to 9 AM when chair service opens as if they actually run out of chairs. They don’t. People are assigned a number, like concert seating, and those that arrive first want the front row next to the blue water. Focused beach goers want to be in the first row facing the ocean and are willing to queue for it. 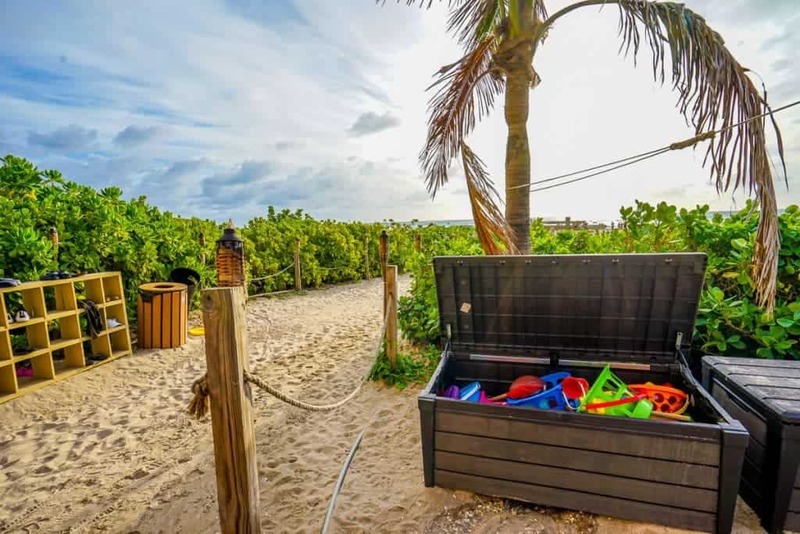 Large bins at the start of the beach path offer loads of toys for children to grab and play with in the sand. Boogie boards and such are available as well. Beach toys for the taking for guests at the beach that is part of Ocean Reef Park. 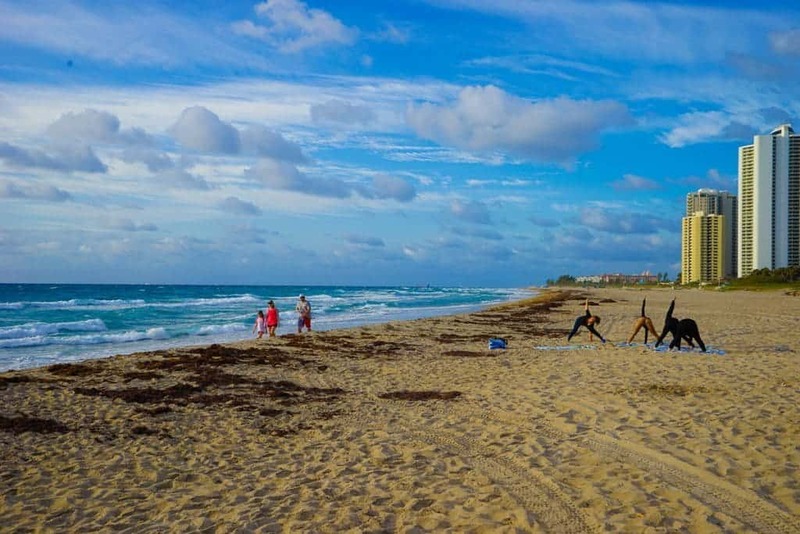 There’s a full service spa, called SiSpa, and a fitness center on site, and yoga classes on the beach. The Marriott Singer Island offers a full service spa and fitness center. I walked upon the morning yoga on the beach and learned a very important fashion tip: never wear cheetah print leggings to a beach yoga class. Everyone walking by will think you are naked from the waist down. What’s the fashion lesson here? No leopard leggings for yoga. 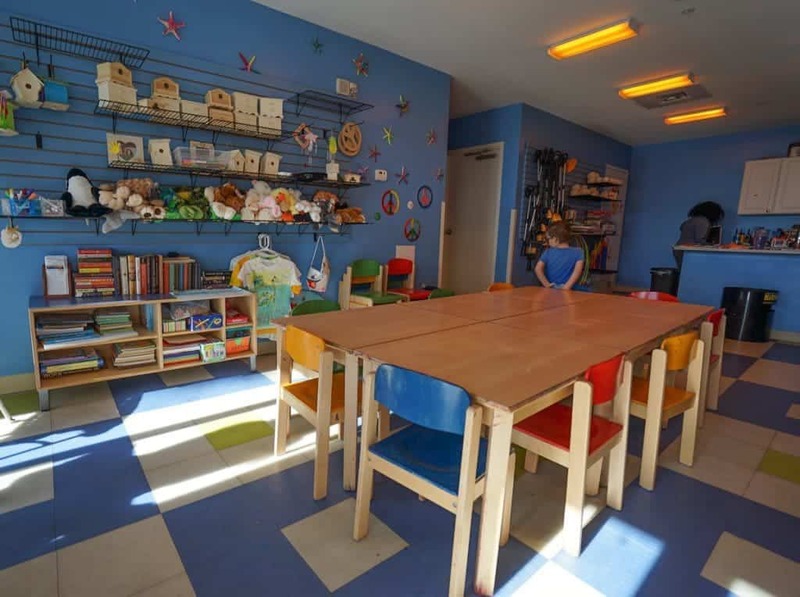 The kids’ club offers a variety of craft projects, movies, and beach activities like using metal detectors in treasure hunts to find buried metal treasure boxes. The staff buries little treasure boxes in advance for the kids to find. 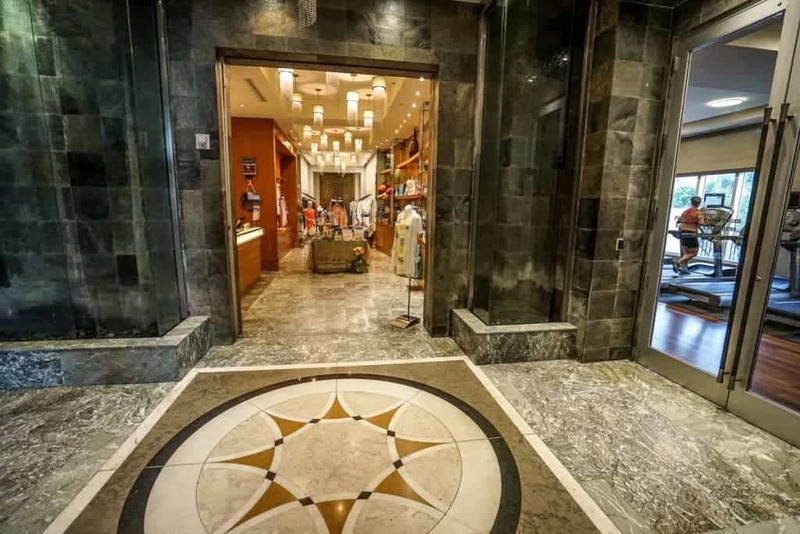 The kids’ club offers half day, full day, and night out options plus several activities families can do together throughout the day. My children painted wooden treasure chests, but I was a little disappointed that in a three hour session in the morning, they also watched a movie which I think is more appropriate in evening sessions. Many of the activities throughout the day can be done as a family and do not require an official kids’ club session to participate. Dive in movies are a great nighttime activity for families at the Lagoon pool. The signature restaurant, 3800 Ocean, offers a Ritz Carlton meal at Marriott prices. 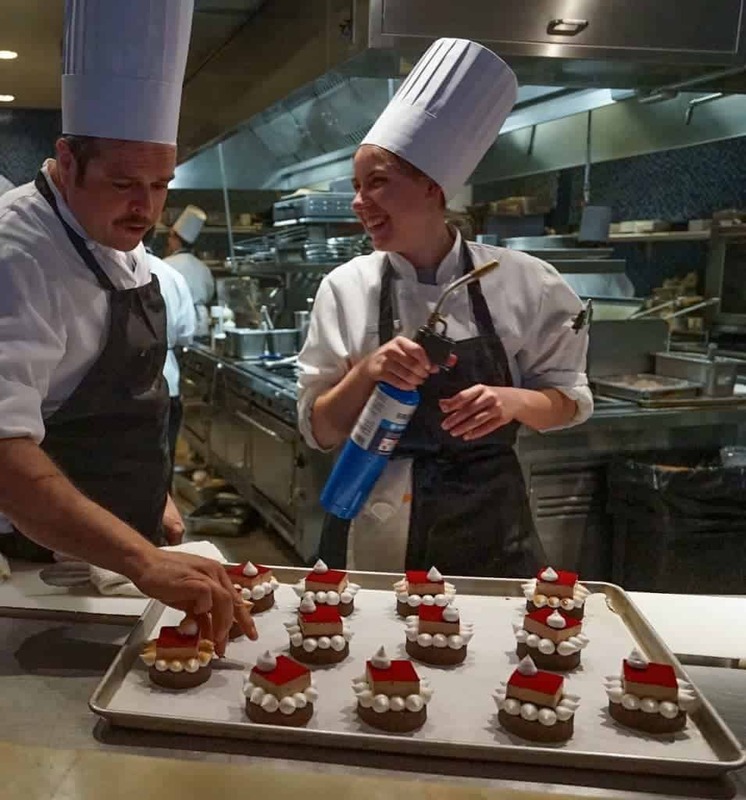 The new resort chef Gustavo Calderon was brought from the Ritz-Carlton brand where he worked at the Cancun, Naples, and Bahrain properties. The dinner menu especially, showcased an excellent meal with ocean views. I enjoyed seafood ceviche and pan seared black grouper with lobster foam. The cocktail menu featured rum drinks made with the Real McCoy Rum, founded by family friends, and worth the indulgence! Had I not been dining with my kids, the restaurant offers a chef’s table experience facing the kitchen with wine pairings. Those parents who want a customized epicurean escape while the kids decorate wooden treasure boxes in the kids’ club can have one. 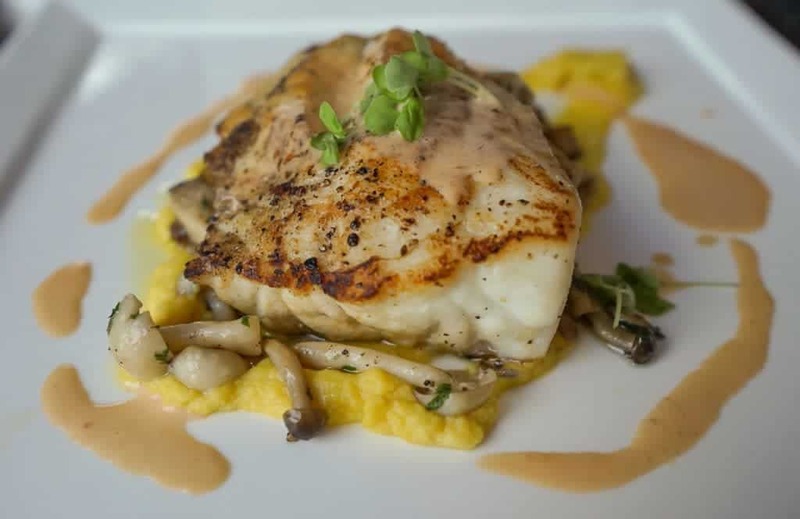 Pan seared grouper with mushroom ragout and lobster foam. It was perfect. We experienced the family friendly version of this on our way out of the restaurant. We watched the pastry chef torch her marshmallow topping on the S’mores tarts while my kids’ made numerous noises of delight and desire. It took a very steady hand, and she had one. They were delighted when handed their own tart to take to the room. S’mores tartes at 3800 Ocean getting torched. 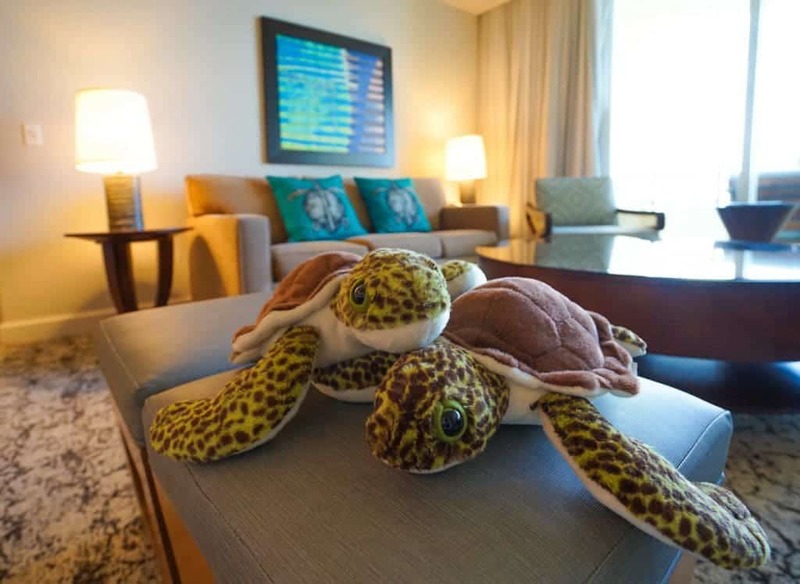 Upon check in at the Marriott Singer Island, children will receive large stuffed turtles. These are for a fee, but they are a donation to an impressive local nonprofit turtle hospital that is a must on your vacation. The Loggerhead Marinelife Center is a rehabilitative educational center and hospital for the magnificent Loggerhead turtle. 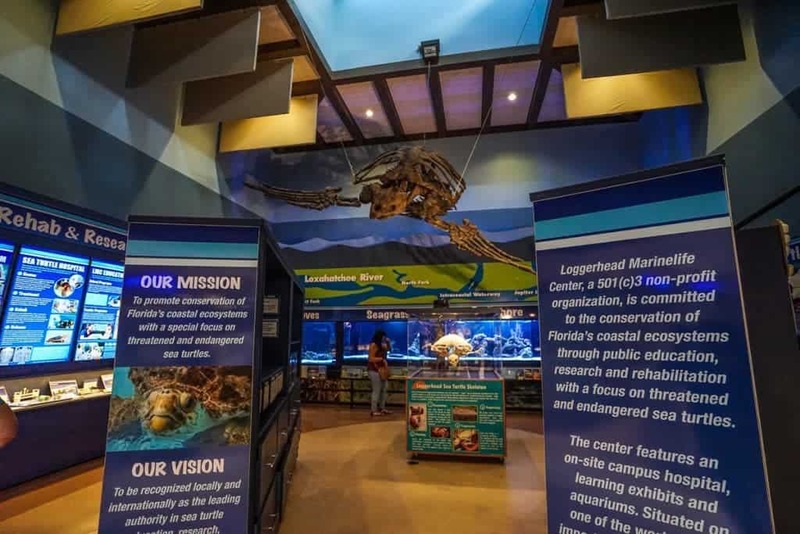 Exhibit space at the Loggerhead Marinelife Center introduces families to turtles and the center’s mission. What started as a much more humble project than its expansive new facility and is a fantastic example of the impact a community can have for natural preservation. Known as the “Turtle Lady” Eleanor Fletcher was a Juno Beach resident who noticed a number of turtles that did not make a successful crawl to sea after hatching. In her views, educating children about sea turtles was the best way to ensure their livelihood. 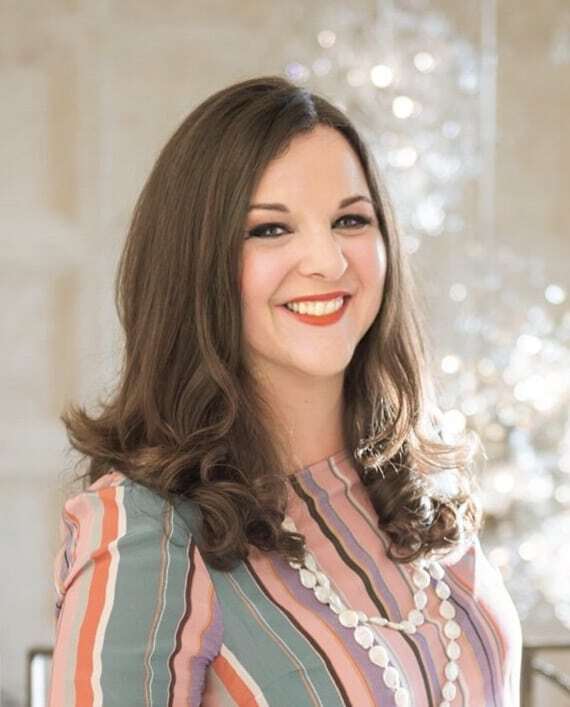 After years of teaching kids “pop up style” in her home and then her real estate office in Juno Beach, the current educational facility opened in 2007. The entrance building of the marine life center is half excellent gift shop and half museum exhibit teaching turtle species information. Several visitors of all ages were engaged in the hands on learning tools and observing the turtles. Girl scout troops received instructions as we passed by into the turtle hospital. 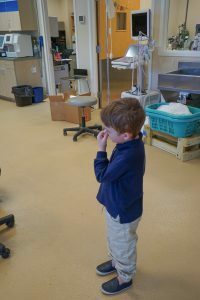 My son couldn’t handle the smell of turtles getting enemas at the turtle hospital. We entered the room not far from the large maze of circular tanks and were hit with a strong odor. The hospital doesn’t typically smell this way explained one of the turtle naturalists. A very large turtle have been given an enema a few minutes before, and my son pinched his nostrils the entire time. It’s one of my favorite memories of our trip, as family travel always involves a good poop story. 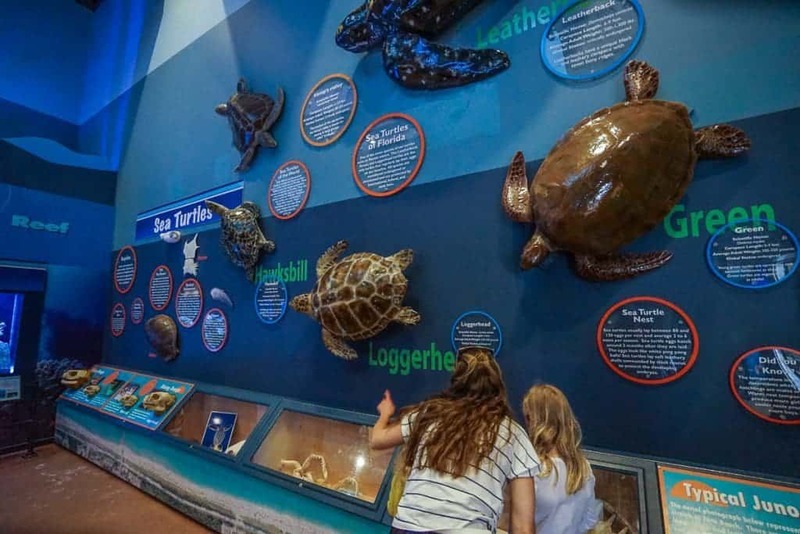 Visitors can learn all of the man-made ways that we endanger turtles in addition to dangers brought on by sharks and bacterial infections caused by algae and sea environments. Who knew that turtles could experience flu-like symptoms, too? The educational facility is partially outside. 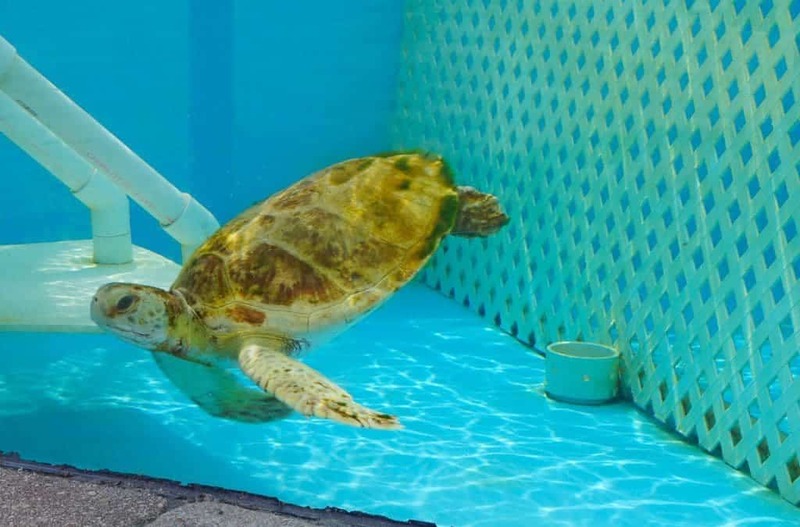 The circular tanks containing a single rehabilitating hard-shelled guest are the star attractions. Every turtle has a great name. We saw Le Fou, Belle, Gaston, Scallywag, and Burt Reynolds. Large tanks at the Loggerhead Marinelife Center showcase each patient easily, so visitors can learn of their injuries and rehabilitation. Lily, named after Palm Beach’s most famous Lily resident was the star of a benefit for the Marine life Center that the Lily Pulitzer company supported. Lily was found, struck by a boat on Hutchinson Island. Her response to treatment has been consistent, and she’s even better than when we were there seven weeks ago. How do I know? I can follow along the turtle patients online to see how they are faring on the website. I love that this enables children to take a deeper understanding of each turtles they encounter, learn of their experience and champion their recovery. Children can also adopt a loggerhead turtle at the gift shop and receive a token plush hatchling turtle and certificate. It’s genuinely impressive to see how Eleanor Fletcher’s passion and interest in these sea creatures has evolved into a turtle hospital and educational center for the community that contributes on a regional level. 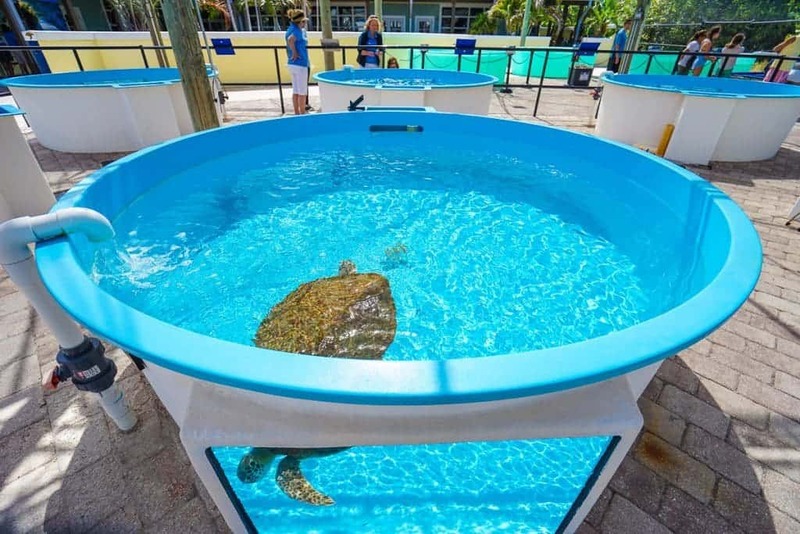 If you are visiting the Palm Beaches in the summer months, the Loggerhead Marinelife Center hosts turtle walks on the beach for those aged eight and older. Spaces fill up as fast as Four Seasons’ Teddy Bear teas. Outside of those months, there are still an impressive range of programs for visiting families, and even summer camps for those in the area for a week visiting the grandparents nearby. 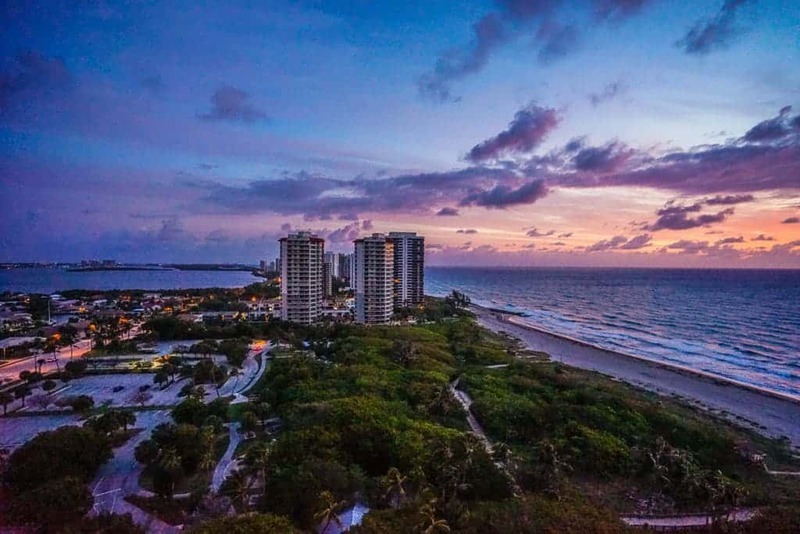 This side of Palm Beach offers such an easier access to the richness of the area’s natural resources. I loved vacationing on Singer Island. 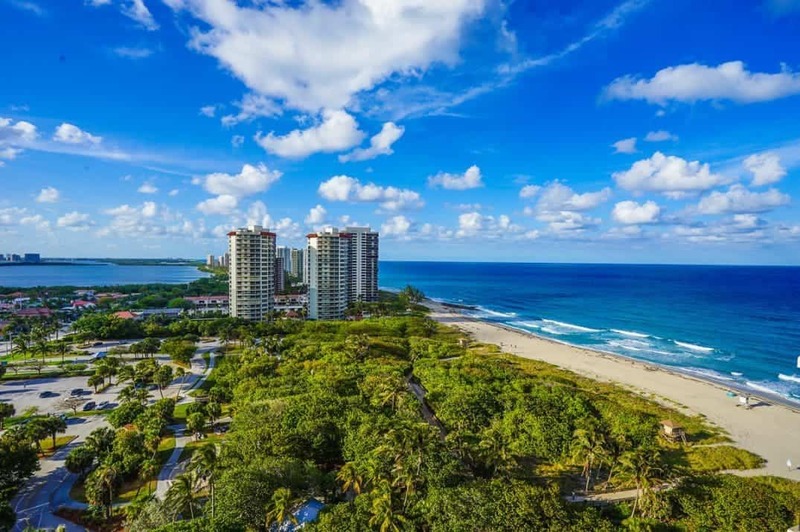 It was removed enough from Palm Beach and West Palm Beach to feel mellow and secluded while still having access to all that the Palm Beach area offer families. 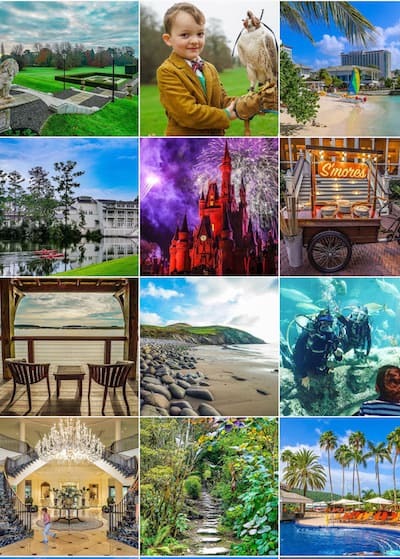 Museums, shopping, eco-touring, gorgeous beaches, and fun are within easy reach. The balcony views of the island at different hours of the day were so fun to follow. I enjoyed slowing down to a turtle pace at this family resort and really appreciated such a greater understanding of these amazing creatures. Easily the slowest steps I took were the ones to our suite’s walk-in closet to start packing us up to leave. Just last week, I was at my local organic juicer and noticed a young girl with a very long beaded braid near her face and a familiar stuffed turtle on her table while slurping her spirulina-infused smoothie. Check your dates for rates Palm Beach Marriott Singer Island Beach Resort & Spa. Although we were guests of the Palm Beach Marriott Singer Island Beach Resort & Spa, these opinions are entirely my own. We thank Discover the Palm Beaches for hosting us at the Loggerhead Marinelife Center.